Men's polo shirts in S/S 2020 give a nod to the classic preppy style and are also reinvented. Dynamic color blocks, colored stripes and preppy stickers and badges are all interpreted by polo shirts. Patterns show different styles. Different crafts can be used to present colorful patterns. With the development of technology, crafts of patterns are more delicate and high-class. 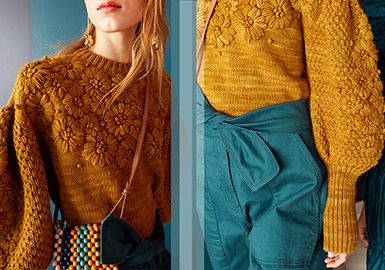 The patterns on women's knitwear in A/W 20/21 tend to be simple and unisex. 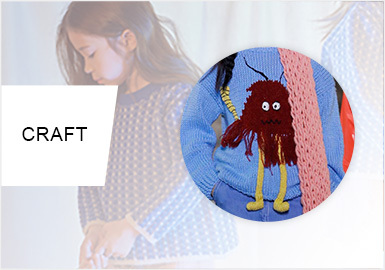 Some crafts on read-to-wear garments are also borrowed. Splicing is a very common approach for modern apparel. It is everywhere in fashion center or popular brands. 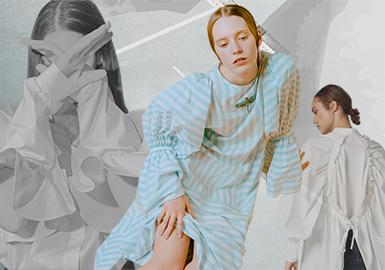 At catwalks in recent years, the splicing of multiple materials has become more sophisticated. Plain methods are a little of art, meeting the demand of aesthetic and practicality. Details are more stylish on the basis of splicing of classic elements. Details can best show subtlety. 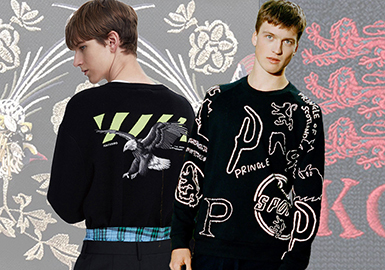 Sweatshirts are fit for all seasons. Rich designs can be shown on them. Besides simple color blocking, noticeable designs on some parts and deconstruction are also critical. Deconstruction and splicing complements each other. 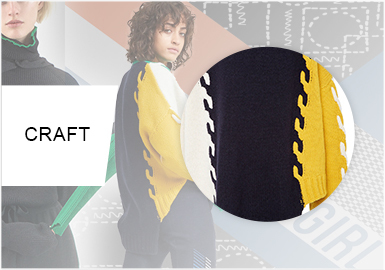 In recent years, deconstruction and splicing are more applied to knitwear. In A/W 20/21, splicing is more energetic and delicate. 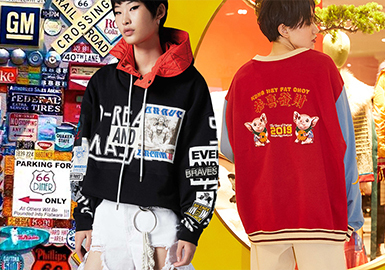 In S/S 2020, details of sweatshirts are paid more attention. Color blocking is still key. Splicing on raglan sleeves is new. Pockets and webbing are popular among brands. Varied details make sweatshirts unique. 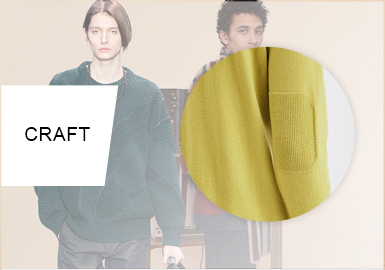 A/W 20/21 sees an obvious uptrend of patterns on men’s knitwear. The latest fashion show indicates that portraits, animals, letters, fruits, modern folkloric totems and novel rhombuses are important. The fine application of techniques also matters. Delicate cutting is necessary for simple&sophisticated style. Functional and decorative straps, chic hollowing cut, flowing hem and simple and neat belt are all applied knitwear. 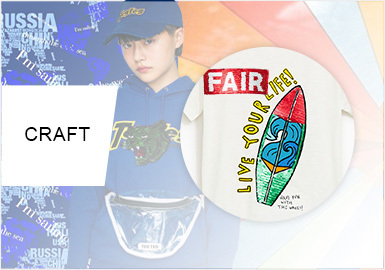 In recent seasons, brightly colorful sports style is the most popular, which is applied into the 20/21 A/W women's knitwear. 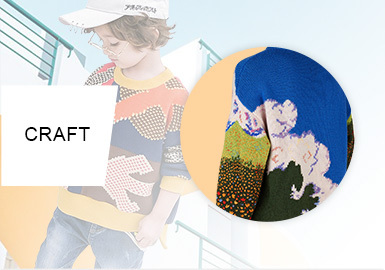 The splicing on cuffs is lively, and common crafts are employed to present splicing of multiple color blocks. Bold colors combine the classic and modern elements. Wool is soft and delicate, which is suitable for the business style. 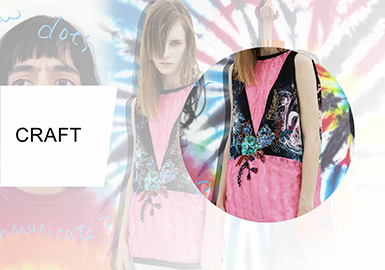 Different stitches, color blocks and splicing could be applied to present the fashionable and youthful quality. 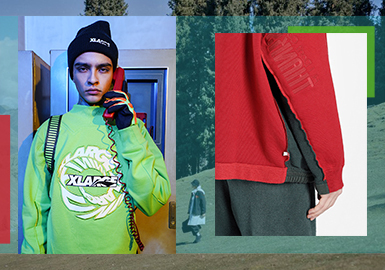 With prevalence of street fashion and sports, cutting designs are most focused on. 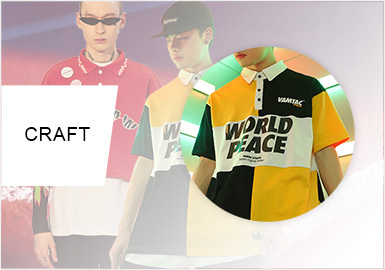 Cutting in 2020 S/S is still the focus of sports fashion. 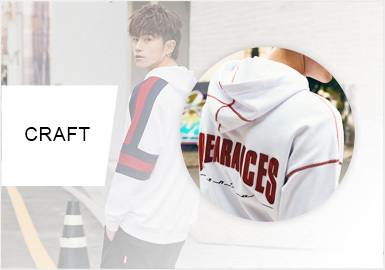 There are many different cutting methods to bring out new styles for sports fashion: asymmetrical cutting and misplacement, irregular cutting and combination of deep and light colors, random cutout, curved hem and ultra-bright coated materials. The creative designs on neck could have great effect. Delicate necks could be the key part. 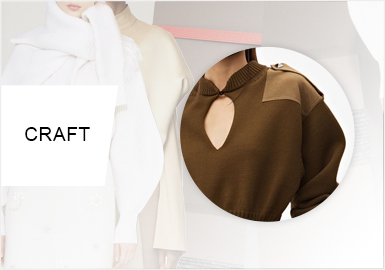 On 20/21 A/W women's knitwear, we will see the trend of neck designs: the comeback of V neck, renewing of shirt collar, extension of one shoulder buttons, turndown square collar...All this will bring surprise. 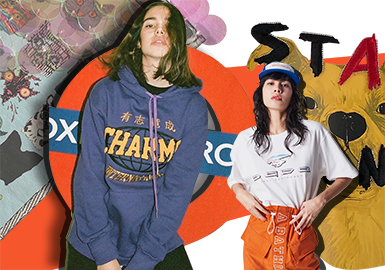 The latest collections show creative design of denim apparel. 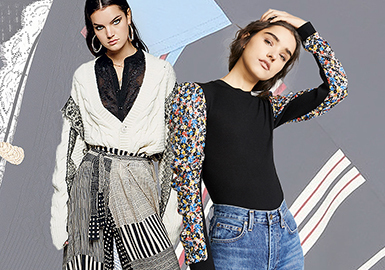 From silhouettes, materials to accessories, they echo the current trends, contributing to covetable denim dresses, skirts, jackets and jeans. Comfortable and breathable, cotton and linen fabrics gain popularity in S/S 2020. 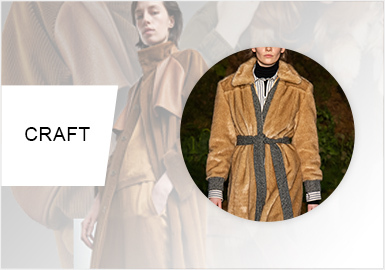 Designers play with chest shape, shirring, pleat and layered panel to update looks. The cutting of sweatshirt can be simple or complicated. Simple splicing or changes on some parts can have extraordinary effects. Machine or hand embroideries, sequins and beads are widely used on menswear. Refined embroideries are beautifully against soft knitwear, giving an elevated finish. 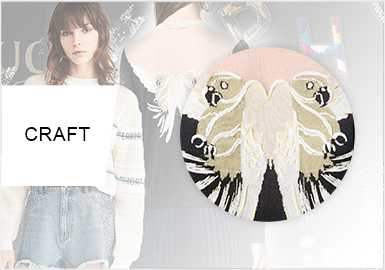 The paneling of knitwear becomes more delicate in this season. The techniques get more refined, and effects feel modern and offbeat. With the development of fashion industry, handcrafts such as embroidery and sequin become increasingly valuable. 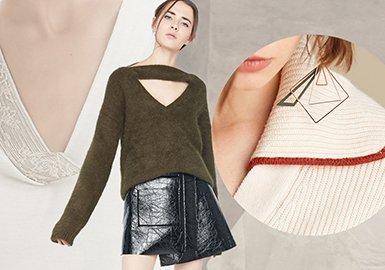 Knitwear plays with these refined techniques to get an exquisite update.